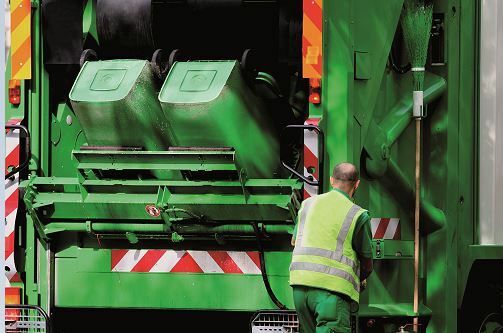 City of San Diego Environmental Services implements RouteSmart route planning software during conversion to automated curbside collection and saves $18 million! Working for the sixth largest city in the nation, staff for the City of San Diego face many operational challenges. For the Collections Division of the Environmental Services Department (ESD), the major challenge is to provide top-notch curbside collection to over 310,000 residential, multi-family, and small business customers. In conjunction with ESD’s other five divisions, Collections maintains trucks, drivers, mechanics and other personnel at each of four operations stations throughout the city. Curbside collection of refuse, and recyclable commodities and green material, as well as citywide litter collection, are all based out of these four stations. As might be imagined, balancing vehicle, personnel and time available for all types of collections poses significant challenges. Six years ago, to meet these challenges head-on, the Collections Division purchased RouteSmart software. Prior to this, routing was done manually using educated guesses and hard-copy maps with selected streets highlighted by hand. Adding to the inefficiencies from manual routing, there were even more pressing problems created by the incentive-based pay system in place for drivers and trash collectors at that time. Under this system, routes were designed based solely on the tonnage of material hauled each day. Once the drivers reached the requisite daily amount they were released for the day. Although the “incentive system” motivated the collectors to work faster, the problems encountered included increased incidents of injury and significant staffing challenges. The Collection Services Division implemented RouteSmart to plan the routes from all four of its facilities. Using the new system, they conducted a time-motion study of their current routes. Combined with the switch to automated vehicles, they were able to end the tonnage-based incentive system for collection operations and rely on a measurement system based on the number of homes per day (service stops per route hour). As a result, driver injuries were significantly reduced, the total number of routes was reduced, and drivers work a full shift knowing that they share an equal workload with their colleagues. Since implementing the automated collection and using RouteSmart system six years ago, many important changes have resulted. The RouteSmart application has now been implemented across the City of San Diego’s Environmental Services Department, encompassing all five divisions — Collections, Disposal, Resource Management, Environmental Protection, and Programs. ESD has also incorporated RouteSmart in its enterprise application suite which includes a service request/work order system, container inventory, personnel and vehicle management tools, as well as a real-time landfill transaction and accounting system. 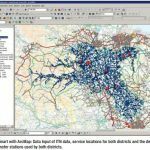 This allows real-time information about the mass of materials being generated by customers in any given area of the city to be used in up-to-the-minute routing for the most realistic route modeling possible. The routing information is also tied into the customer service database so that customers can retrieve information about the status of collections at their address through the department’s automatic call distribution system. The RouteSmart-based landfill application has proved so successful that the City of San Diego is now marketing the software and licensing to other municipalities, with great success. Cities like Long Beach, Tucson, Phoenix, and municipalities from as far away as Japan, New Zealand, and Sweden have all shown interest in the software. And ESD is not the only city department recognizing the power of RouteSmart: the City’s Water Department also uses RouteSmart to route its meter readers. Environmental Services is also looking at implementing GPS technology to further enhance its routing efforts. They are working with ESRI and Peak Communications to track real-time data that shows the routes its drivers actually take. This data will then be fed into the RouteSmart application. From there, they will be able to compare the RouteSmart routes with what the drivers are actually driving to ensure the most efficient routes are being utilized.